The FLIP Graduate National Challenge is India’s hottest finance contest for graduates, aspiring to a career in Equity Research or Investment Banking. Participating students compete on a national level, for the highest scores, in select FLIP-NCFM Certifications - to earn recruiter recommended certifications, win national rankings, cash prizes and much more. 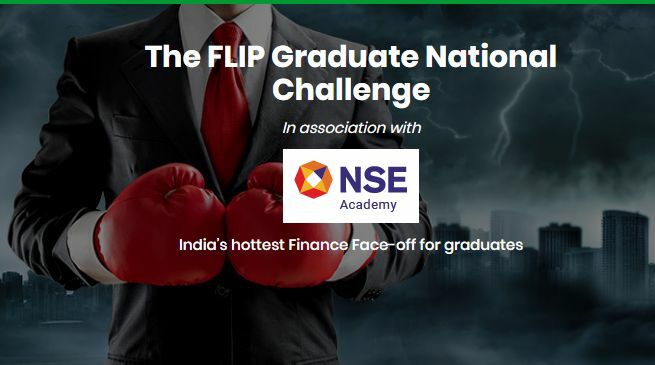 This is an unbeatable opportunity for graduates to kick start their career in finance! A CV Booster: A great way to showcase your Finance focus. Strong foundation for Masters: If your aim is an MBA in finance from a premier B-school , this will be an excellent foundation – and earn you brownie points in your GD/PI as well.